The Well–Tempered Clavier, written by J. S. Bach in 1722, is a series of pieces that explore counterpoint and the then new tempered tuning system. 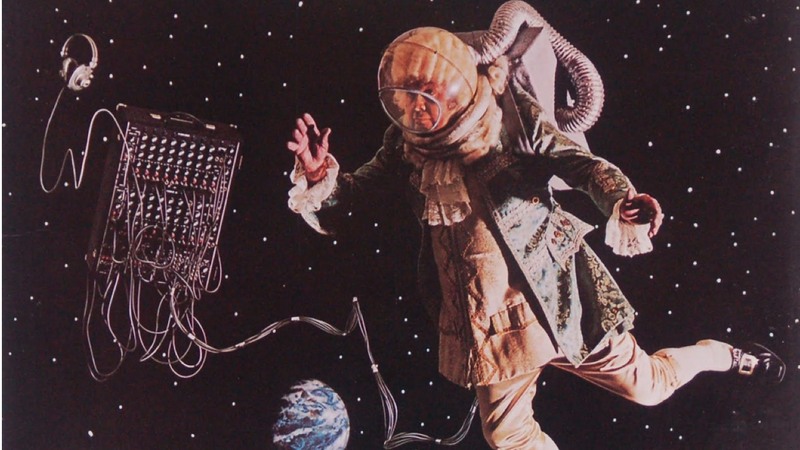 On The Well–Tempered Synthesizer (1969), Wendy Carlos programmed a Moog analog synthesizer to play a series of Baroque pieces, exploring its new synthetic timbres. 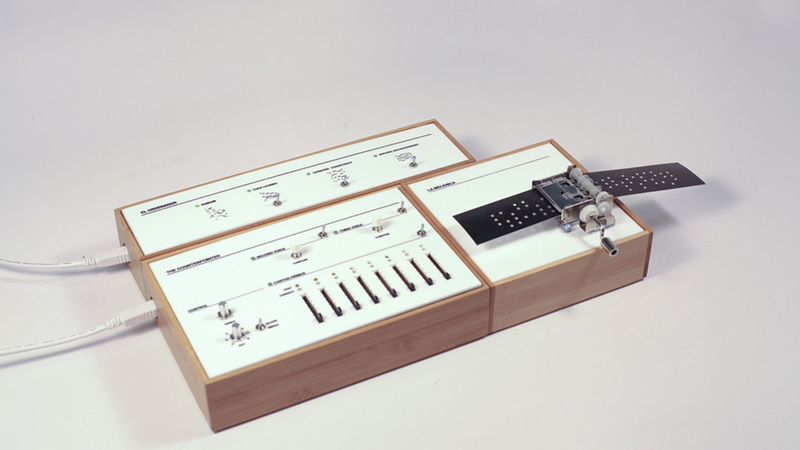 The Well–Sequenced Synthesizer is a series of sequencers –physical interfaces to play with the rules of music. Prelude in C Minor, played by Gianluca Luisi. 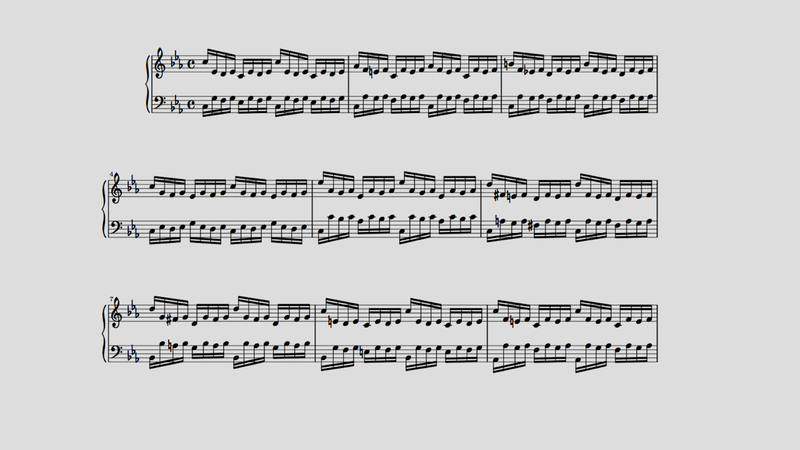 Prelude in C Minor. Switched on Bach, 1968. The Counterpointer is a cross between an electronic arpeggiator and a baroque music rule book. It takes a melody input and responds with voices that follow the rules of counterpoint. El Ordenador carves chaos into order by applying constraints to randomly generated chord progressions – inspired by the features of tonality described by Dmitri Tymoczko in "A Geometry of Music". 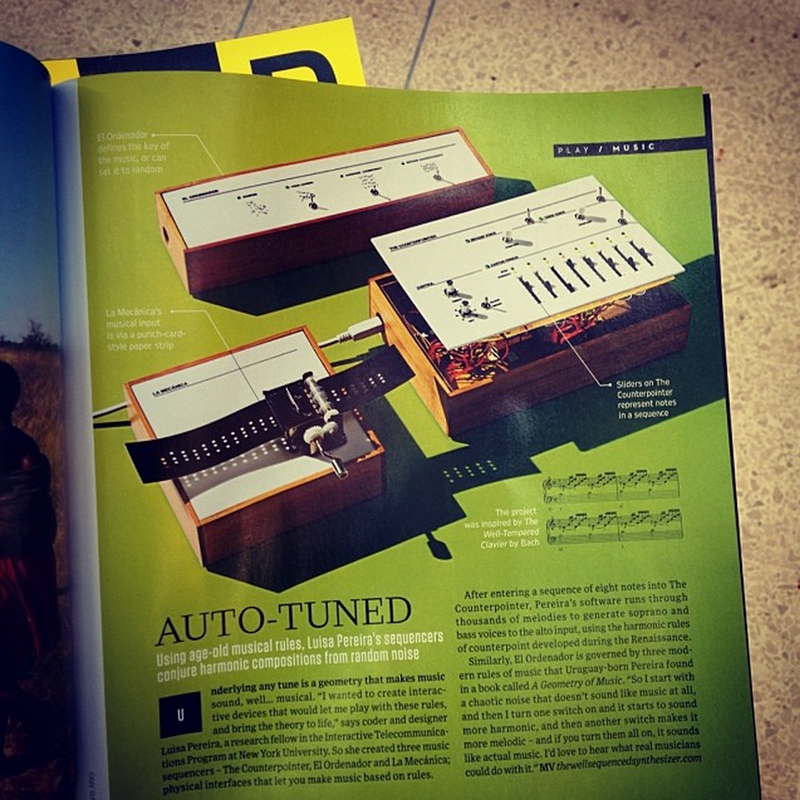 La Mecánica uses a traditional music box mechanism to play back the progressions generated by El Ordenador –. Software developed in Java using Processing.org. The Counterpointer uses CFGen's species counterpoint algorithm. Firmware runs on an Arduino micro-controller.